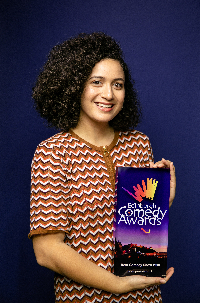 Welcome to the Edinburgh Comedy Awards website which is owned by NB Productions Ltd, 11 Maiden Lane, London, WC2E 7NA (Company Registration Number 3330820) (“we”, “us”) and operated by Premier PR Ltd of 2 – 4 Bucknall Street, London, WC2H 8LA (Company Registration Number: 01707417). This Privacy Notice sets out how we collect, process, use and protects any information that you give to us when you use this website or use a service that we offer. We may change this policy from time to time by updating this page. You should check this page from time to time to ensure that you are happy with any changes. This Privacy Notice is effective from 17 May 2018. Your newsletter subscription information may be shared outside of the European Union to enable the fulfilment of this service. You can unsubscribe from any marketing information at any time by clicking the unsubscribe button at the bottom of all newsletters or by emailing us at info@comedyawards.co.uk. • if you have previously agreed to us using your personal information for direct marketing purposes, you may change your mind at any time by emailing us at info@comedyawards.co.uk or by clicking the unsubscribe button at the bottom of all newsletters. You may request details of personal information which we hold about you under data protection legislation. 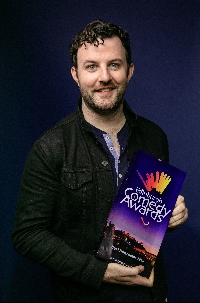 If you would like to know what data is held about you, or if you would like to amend or delete any information held about you, please send an email to info@comedyawards.co.uk.